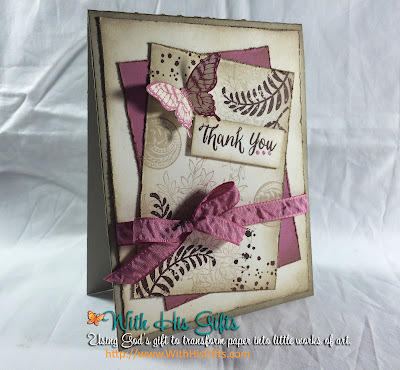 The 2016-2018 Stampin' Up! In Colors are all amazingly beautiful and the names are simply adorable. There's Dapper Denim, Emerald Envy, Flirty Flamingo, Peekaboo Peach, and Sweet Sugarplum. I love all of the new colors but, without a doubt, Sweet Sugarplum is my absolute favorite. 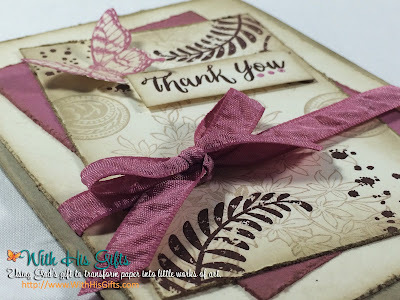 I used when creating my April Customer thank you cards. If you're one of my customers, this card is on its way to your mailbox. And when you see Sweet Sugarplum up close and personal, I guarantee you'll fall head over heals in love with it.